Whisky Galore! 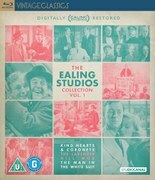 ranks among the most popular and best-loved of Ealing Studio’s comedies, included on the British Film Institute’s list of the 100 Best British films of the 20th Century. When a ship carrying 50,000 cases of whisky runs aground, the inhabitants of a Scottish island cannot resist the temptation to replenish their depleted supplies. Only an English Home Guard captain, brilliantly played by Basil Greenwood, stands in their way. The first film from Ealing stalwart Alexander Mackendrick, who went on to direct The Ladykillers and The Man In The White Suit, Whisky Galore! 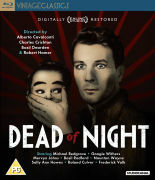 is a 100% proof comedy classic, now digitally restored and remastered to its former glory.